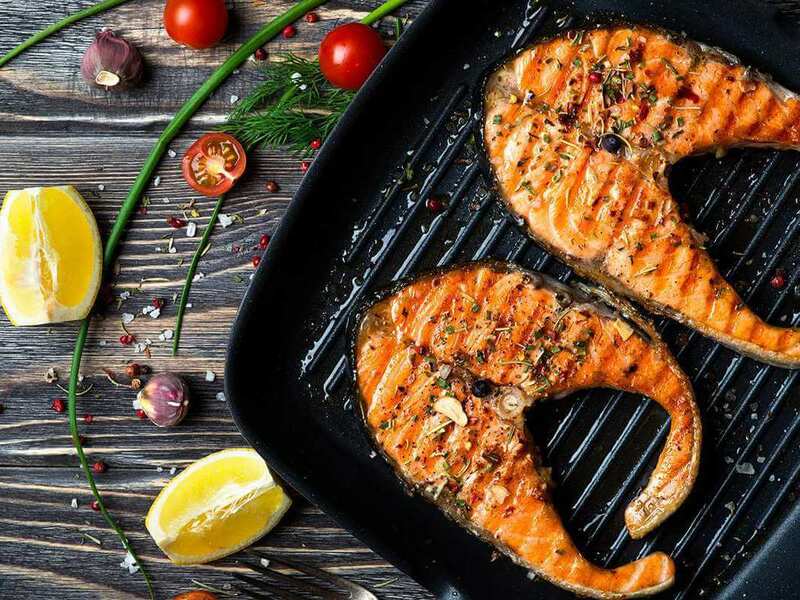 When it comes to boosting testosterone, it has been shown that your diet can have a major impact on your body’s ability to produce testosterone. In fact, higher fat diets have been shown to help contribute to increases in free testosterone, this is because fat is a main proponent in the production of testosterone. Low fat, high sugar diets comprised of processed food can further reduce testosterone, and increase waistlines of men. What’s more, men have lower testosterone levels than ever before. Bad diets, chemical pollutants in the environment, food, and even daily toiletries can all impact testosterone. Eating a healthy diet is one way to help fix the problem, not to mention testosterone is a major building hormone – responsible to help with recovery, and stimulate muscle building. Use these testosterone boosting foods to help build your diet! Lean beef is one of the best muscle building foods not only because it contains a high amount of saturated fat, but also because it contains a whole lot of other nutrients needed for muscle building. Why is saturated fat a good thing? Saturated fat is a major source of cholesterol, which is the base building molecule for testosterone. You may think that eating cholesterol can lead to higher cholesterol levels but this is unfounded, the body actually needs a balance of both saturated and unsaturated fat in the diet. In addition to the source of cholesterol, lean red meat also is high in protein, provides vitamins and minerals essential to growth, as well as muscle building nutrient creatine. Cruciferous vegetables are a group of super food veggies including broccoli, cauliflower, Brussel sprouts, kale and cabbage. These veggies deliver a boost of fiber that can help keep you full when dieting, but they’re also full of natural estrogen fighting compounds including di-indole-methane or DIM, which bind to excess estrogen metabolites in the body and package it for removal. Excess estrogen can disrupt the balance of testosterone to estrogen, leading to a slowdown in fat burning and muscle building. Additionally, DIM can also block production of aromatase enzyme which can reduce testosterone to the inactive form of DHT. High levels of DHT can lead to male pattern baldness. You may not think veggies are an important part of your diet, but they’re just as essential as eating protein when it comes to boosting your test levels! Add a side of broccoli to your steak, or make a raw cabbage and kale salad to eat alongside your chicken. This healthy fatty fish provides a great source of protein and omega-3 fats. A diet rich in good for you fats has been shown to support increases in free testosterone levels, as well as reduce abdominal fat in men versus diets that were lower in fat of the same caloric value. Omega-3 fatty acids can also help counteract the catabolic effects of the stress hormone cortisol. When cortisol is high, testosterone production is low. In one study, three weeks of supplementation with omega-3 fatty acids blunted cortisol levels caused by the stimulation of stress. Salmon is also high in Vitamin D and Zinc, which have both been shown in research to help support testosterone production. Those with low levels of Vitamin D, and Zinc have been shown to have subsequently lower levels of free testosterone. Salmon delivers 20 g of protein per 100 g and 13 g of healthy fats! Eat fresh salmon a few times per week for maximum benefit. Whole eggs deliver protein, and also your daily requirements of cholesterol – a major precursor to testosterone production. Eggs also provide a source of energizing b-vitamins need to help metabolize the energy from the foods we eat. They’re also a source of vitamin D. One research study showed that those who took approximately 3000 IU of vitamin D for one year had significantly increased their testosterone levels compared to those who were given a placebo. This superfood can provide vitamins, antioxidants, all your essential amino acids and is a completely versatile food. Eat them boiled, over easy, as an omelette, or scrambled; eat them for breakfast lunch or even dinner! One large egg provides less than 80 calories, just 5 g of fat, and 6 g of protein! Most people will grab a handful of nuts for a snack, but if you’re looking to help boost your T-levels consider a handful of pumpkin seeds instead. Pumpkin seeds are rich in both polyunsaturated fat, monounsaturated fat and provide some saturated fat too. They’re also loaded up on testosterone boosting minerals including zinc and magnesium and the BCAA Leucine – essential for protein synthesis. Zinc is an important co-factor involved in the production of enzymes involved in testosterone production, while magnesium is needed for muscle contraction. A one-ounce serving of pumpkin seeds provides 6 grams of fat, 5 grams of fiber, 5 grams of protein, 19% of your daily value of zinc and 18% of your daily value for magnesium. Try toasting them in the oven, tossing them on a salad, adding them to your favorite protein bar recipes or eating them raw.